This is the control room for the Unit 1 reactor at Exelon Corporation Three Mile Island nuclear generating station in Londonderry Township, Dauphin County. May 22, 2017. Three Mile Island’s short-term survival currently rests with Harrisburg lawmakers and lobbyists but the storied nuclear power plant’s ultimate fate is already known: It will eventually be decommissioned and, for now at least, its radioactive waste will be stored on site for years to come. 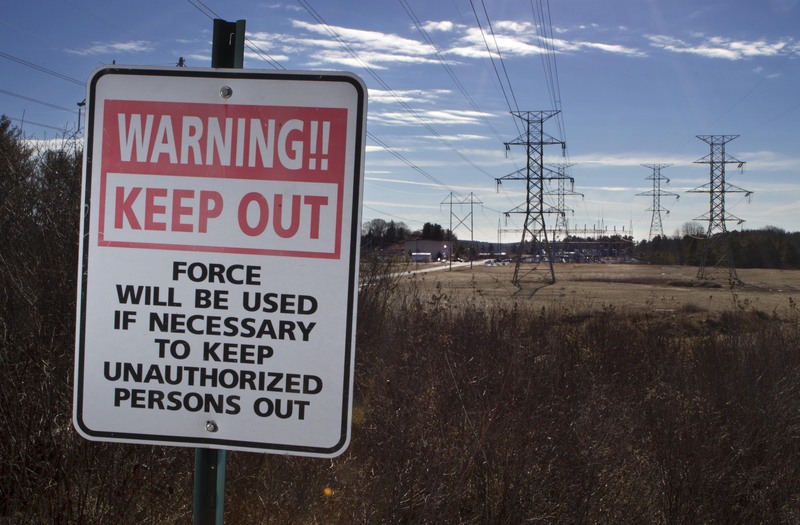 A sign warns against trespassing at the heavily guarded former Maine Yankee nuclear power plant, Thursday, Feb. 7, 2013, in Wiscasset, Maine. The facility stores spent fuel rods at the site. 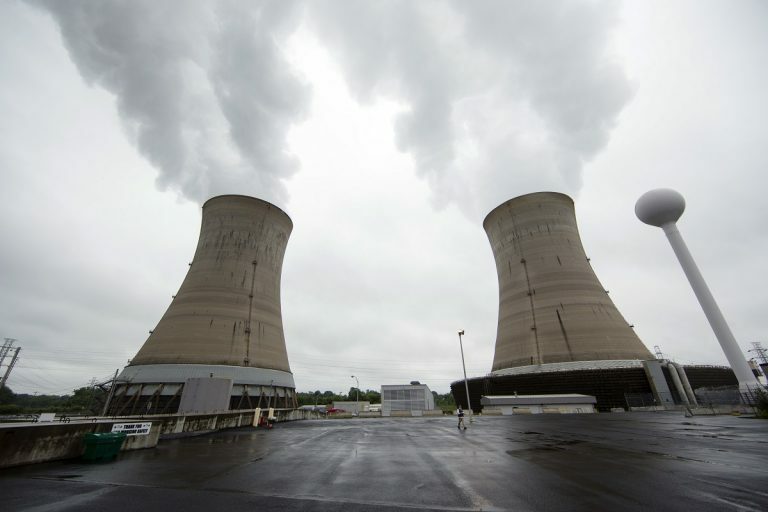 The U.S. government has been required to pay out $160 million to the operators of defunct nuclear plants in Connecticut, Maine and Massachusetts over its failure to find a national dumping ground for nuclear waste. For decades, federal officials sought a location to serve as a permanent repository — one remote, secure and stable enough to avoid calamity or widespread contamination. Yucca Mountain in southern Nevada was designated as just such a place in 1987 but it faced numerous setbacks and was abandoned by the Obama administration in 2011. The Trump administration sent mixed signals in its first two years. The president’s 2020 budget proposal asked Congress for billions of dollars to restart the project. If Congress approves, the repository would still be years (and potentially decades) in the making. In the absence of a long-term solution, the country’s nuclear power plants are left with one option: indefinite on-site storage. That’s what will happen at Three Mile Island, where Exelon plans to build an interim spent fuel storage installation (ISFSI) that will hold spent fuel in the middle of the current plant, between the two units’ cooling towers. As of 2017, the first phase of that project was expected to cost $85 million. Ed Callan, TMI’s site vice president, previously told PennLive that the plant was fitted with a large pool that has housed the spent fuel from Unit 1 since it was commissioned in 1974. The fuel storage installation will be built whether or not TMI is decommissioned because the pool is projected to run out of space in 2023. The stainless-steel casks, which weigh about 100 tons a piece, contain any radiation emitted from the fuel. The dry cask process isn’t required by law but has become standard across the industry. Exelon announced plans to close TMI two years ago, although its tentative 2019 shutdown date could be reversed if its lobbying succeeds. And the decommissioning process means TMI will continue to be staffed—although not at the current level of roughly 650 employees—for many years to come. As of December 2017, the company reported having $707,000 in a federally mandated decommissioning trust fund. Based on an NRC formula, it would need $478,000 to shut down the plant and remove any radiological contamination. It’s possible—and, indeed, likely—the actual cost will be greater. “We will know more if the company moves ahead this year to permanently shut down the plant,” Sheehan said. TMI-2, which is owned by First Energy, had $834,000 in its decommissioning trust fund as of December 2017 against an estimated $1.3 billion in costs, based on the NRC’s formula. 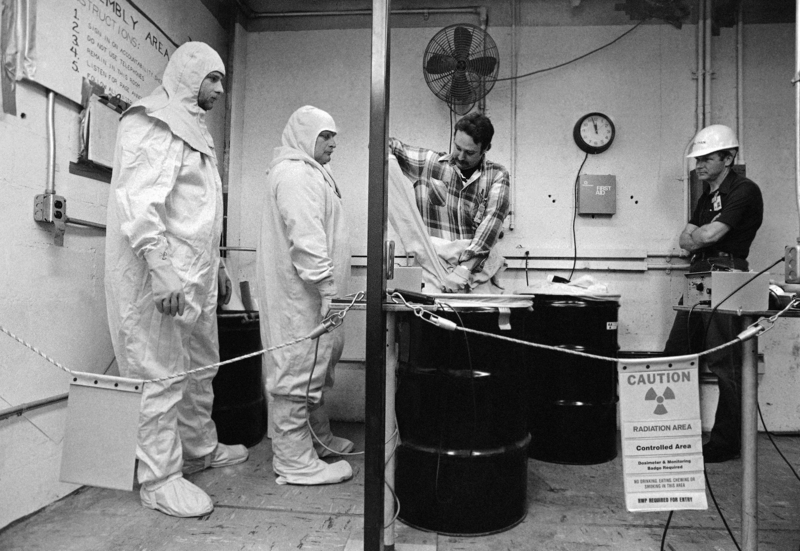 Workers line up to take Geiger counter readings of themselves following a shift dismantling the Shippingport Atomic Power Station in Shippingport, Penn., June 22, 1987. Nuclear’s advantages were clear: Fission, or the splitting of atoms resulting in intense heat energy, created a stable flow of inexpensive electricity without the greenhouse gases or toxic soot associated with coal or gas-fired plants. But it presented a problem that still confounds engineers and policymakers today: What should we do with the radioactive fuel and the equipment it comes in contact with once the fuel or the plant around it reaches the end of their useful lives? Several years later, in 1989, a barge hauled Shippingport’s 150-ton reactor vessel down the Ohio and Mississippi rivers to the Gulf of Mexico, across the Panama Canal, up the Pacific Coast and to its final resting place in a 40-foot trench at Hanford. The 8,100-mile-long voyage made national headlines and officials declared the $98.3 million decommissioning (roughly $200 million in 2019 dollars) a success. “I can honestly sit here and say this project went off without any major mistakes,” a DOE spokesman told The Boston Globe in 1992. Today, there are few signs that Shippingport ever existed. The land could be redeveloped if not for the Beaver Valley Nuclear Power Station, whose two reactors opened nearby in 1976 and 1987. 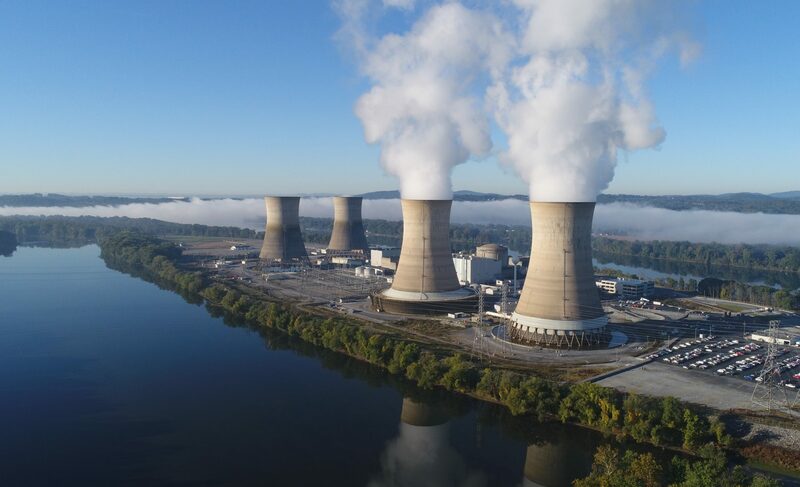 Beaver Valley’s owners, not coincidentally, declared their intention to close in 2021 if the state Legislature fails to act to bolster the nuclear industry. Shippingport’s cleanup, however, came at the expense of those who live and work around Hanford. The facility manufactured plutonium used in the first atomic bomb detonated over Nagasaki in 1945 and, in the decades after WWII, became a dumping ground for radioactive material from across the country. Following the partial meltdown at TMI-2, which is owned by First Energy, the fuel and other waste from the reactor was shipped to Hanford while the reactor core structure and other debris was shipped to the Nuclear Regulatory Commission’s Idaho National Laboratory for study. Off-site waste was banned from Hanford in the early 2000s. In recent decades, dozens of workers reported being sickened and the DOE launched a cleanup that’s expected to take another 50 years and cost more than $100 million. Maine Yankee bears some striking similarities to Three Mile Island—apart from the partial meltdown, of course. Some locals, including Hudson, looked askance at the plant out of fear of environmental calamity—even more so after the partial meltdown of TMI-2 in 1979. It was the subject of three separate referenda attempting to shut it down. A series of safety violations and rising maintenance costs ultimately forced its closure. Maine Yankee’s decommissioning, which involved long-term, on-site dry cask storage, has been held up as an example of how it’s done right. So far, at least, nothing’s undermined that perception. TMI will follow Maine Yankee’s lead. Hudson, a biologist who was appointed to the plant’s community advisory panel, was there for the entire process and sat in on many of the planning meetings. The casks, he said, are well protected, with the radioactive material encased “like a thermos bottle” in two two-inch-thick steel containers inside a roughly four-foot-thick concrete casement. Exelon’s Three Mile Island plant is scheduled to prematurely close in September 2019. The company has been lobbying for help from the state to keep it open. All things considered, Hudson thinks it’s the best solution there is. “As a die-hard tree hugger and environmentalist, I can say it’s safe and probably the safest way to handle the fuel in this state of limbo we’re currently in,” he said. Now, he’s come around to the idea. “If we have any chance at all of slowing the impact of rapidly changing climate and decarbonize the energy sector, we’ll have to use nuclear power,” he said. Advancements in processing radioactive material and in power station technology mean the material could be recycled and continue to produce power for years longer, he said. And it’s certainly more environmentally conscious than our increasing reliance on coal and natural gas-fired power plants. Carpenter, meanwhile, said there’s a certain logic to keeping radioactive material in dry cask systems scattered across the country. Unless the materials are being stored in a precarious location, such as a place prone to earthquake or tsunami-prone, it’s best to keep them in place and only move it once: to a permanent disposal location, whether that’s Yucca Mountain or somewhere else.